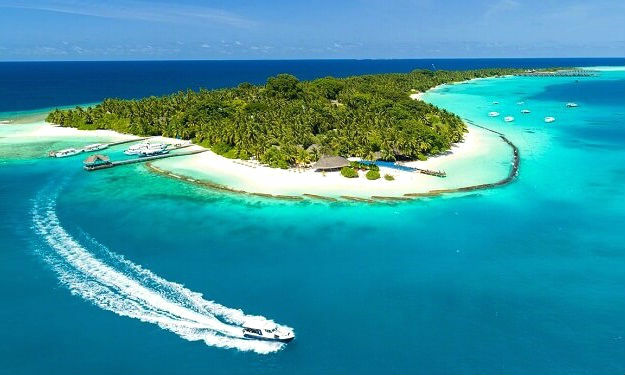 Welcome to a world of golden sunshine, fine dining, water sports and entertainment, topped off with warm Maldivian hospitality on own private island just 15 minutes by boat from Malé Airport. 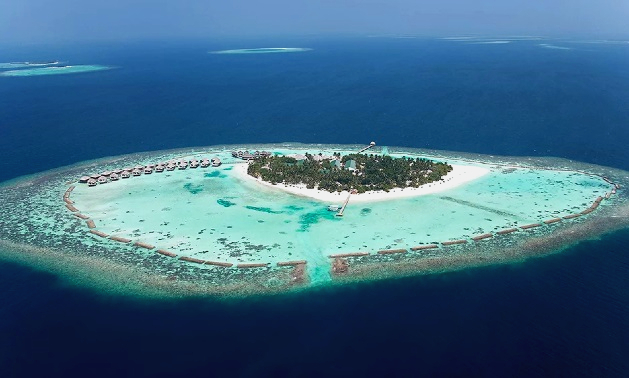 Make yourself at home in 156 guest rooms and 20 Ocean Pool Villas of the delightful Maldives resort, furnished in tropical style and with the finest amenities – it’s never been easier to slip into the rhythm of idyllic island living this side of paradise. With easy access to Indian Ocean, admire the view from your balcony or terrace, comfortably adorned with stylish outdoor furniture and set against garden, resort or sea views. 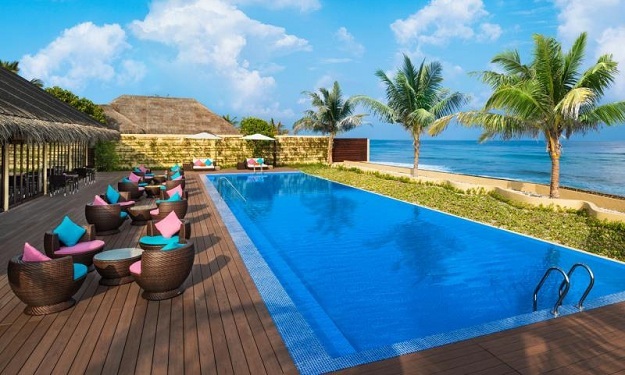 Unwind at one of the most coveted luxury resorts in Maldives under a traditional Maldivian roof, settle into the cosy and elegant ambiance of the Deluxe Rooms designed and built by local craftsmen. Timber blinds and pretty tiled floors complete the tropical setting with individually-controlled air-conditioning and ceiling fans to stay cool your way, and you’ll enjoy the shower and separate vanity in the bathroom. You’re never far from family through interconnecting rooms on the ground floor, while rooms on the first floor open out to private balconies. You’ll find extra space and seclusion all under one thatched roof in the Island Cottages, where you can enjoy each other’s company comfortably. 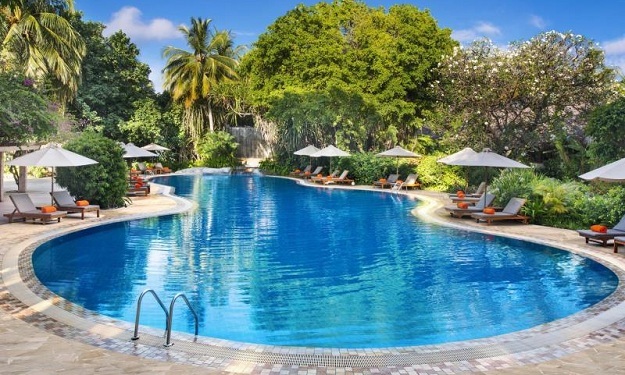 Just steps from lagoon with refreshing views of lush tropical gardens, it’s a perfect mix of leisure and pleasure. The private balcony features a daybed for the ultimate morning, afternoon or evening of lounging, while a king bed under vaulted ceilings gives you all the room you need to unwind. 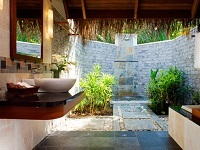 An open air shower still in the privacy of your cottage in Maldives or a separate indoor bath for soaking? Take in panoramic ocean views from a private terrace and take advantage of direct beach access in Beach Front Cottages, just two perks of resort living everyone can agree on. 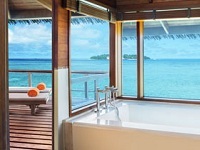 The bathrooms of these Maldives cottages are outdoor – but still private – shower means you never have to miss a moment of sunshine, while the indoor bath lets you soak in pure relaxation. From the king bed under vaulted ceilings to spacious private balcony with daybed, you’ll never run out of room to relax and lounge in true Maldivian style. 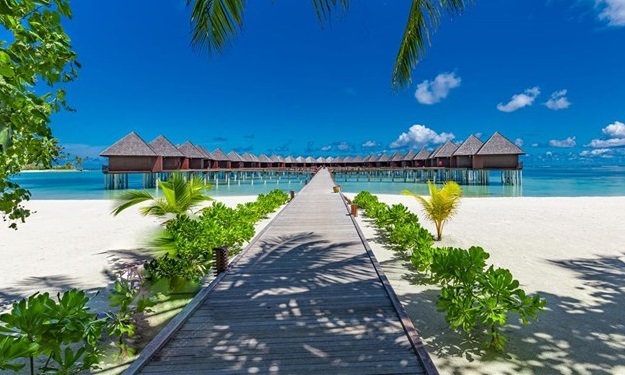 On the northern end of the resort for uninterrupted relaxation and rejuvenation, slip into one of the Water Bungalows in Maldives where spectacular ocean views are a daily affair. Built on stilts over the lagoon, dipping into crystal clear waters is as easy as going down the steps from your private sun terrace. Or linger there on comfortable outdoor furniture, plenty for everyone to get quality time with fresh air and golden rays. 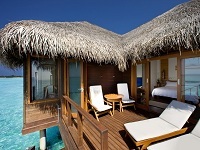 Under the thatched roof indoors of these Maldives water bungalows, a king bed and daybed set a romantic tone for two. You can continue enjoying Indian Ocean views even from the bathroom, with direct access to the balcony, lighted mirrors, spacious bathtub, and separate shower and toilet. 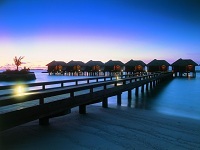 Indulge in the comforts of a Club Water Bungalow for an unforgettable romantic stay. Lounge on the terrace and admire crystal-clear waters, or retreat inside to enjoy modern technology and amenities. Guests have exclusive access to the Sheraton Club Lounge, which features food and drink options throughout the day, business facilities, and an outdoor deck and pool. Bigger is better – everyone will agree with the expansive space of Maldives Water Villas, set over the water and under a traditional thatched roof. With direct access to the pure turquoise waters of lagoon and never ending views of the Indian Ocean, the large terrace with sun lounges is the ideal spot for basking in golden sunshine or enjoying time together under the stars at night. A king-sized bed keeps things roomy in this Maldives luxury water villa, and the extra-large bathroom looks out to the sea, provides direct access to the balcony and has lighted mirrors, a roomy bathtub, and a separate shower and toilet. 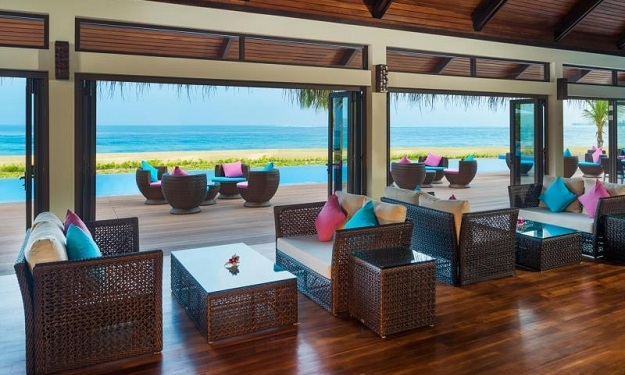 There’s always something for everyone in this extraordinarily spacious ocean villa in Maldives, where chic, modern and stylish décor is tastefully complemented by more space and beautiful traditional rattan furnishings under the thatched roof. If you’re looking for ultimate privacy, discover what it means to be away from it all here, sprawling over water on the secluded Eastern side of the resort. Inside, calming colours and Balau wood flooring create a distinctly local ambiance while state-of-the-art facilities and amenities cover all necessary comforts. Outdoors, an infinity plunge pool, daybed, hammock and outdoor rain shower on the private deck make it a perfect spot for lounging, or toast to good times together in the dining area or garden with BBQ. 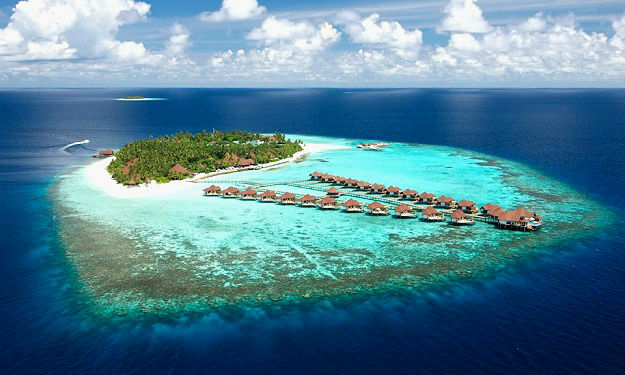 Sprawling views of the Indian Ocean set the scene for this tropical escapade. Welcome to the beach house of your dreams, where an outdoor area with its own deck, two plasma TVs and comfortable rattan seating surrounds you with panoramic views of the Indian Ocean. The king bedroom of this water suite in Maldives overlooks another terrace with direct access to the sea, filled with sun lounges so you enjoy paradisical resort living in the privacy of the Water Suite. An inviting mini-plunge pool is the centrepiece of the bathroom, which opens up to both balconies outside and has lighted mirrors and spectacular views inside. Custom design furnishing tastefully complements traditional styles with contemporary sensibilities. A signature treatments and massages make a world of difference for your physical, mental and spiritual wellness. With ingredients and techniques influenced from the East to the West blended with local touches, the best of all worlds come together with you on this unforgettable journey to your holistic best. Explore the Silk Route Collection, where treatments from the Orient, Thailand, India, the Middle East and the Mediterranean are designed to help you find the perfect balance of mind and body. Drift away to calmness and tranquillity in the seclusion of your own spa pavilion on the private spa island – there is no place you’d rather be. Make new friends with angelfish, barracuda, clownfish, manta rays, grey reef sharks, parrotfish, whale sharks and more of the Maldives’ unique aquatic characters when you explore more than 40 world-class dive sites minutes from the resort while Maldives diving. 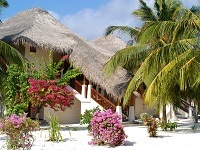 Resorts to launch from for this enthralling experience are many. 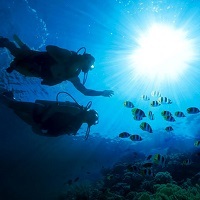 With visibility exceeding 50 meters at times, the dive centre’s programs for all ages and abilities brings you on intimate encounters with some of the world’s most magnificent marine life. 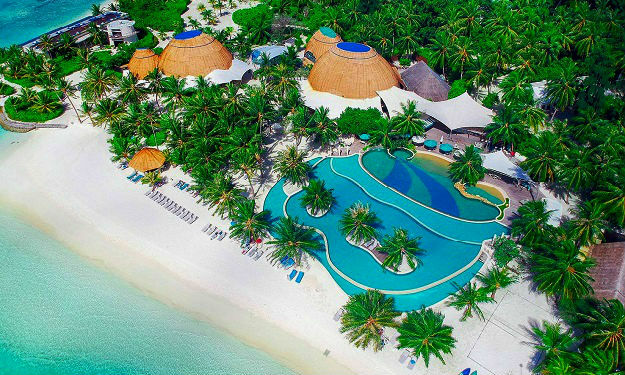 With a wide range of water sporting activities tailored to suit all of Full Moon guests, Extreme Maldives is the one stop spot for a fun-filled day. 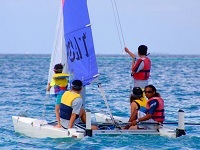 Spend the day with your loved ones learning from qualified professionals how to wind surf or sail. Or hop on the banana boat or the ski tubes for a wild ride! 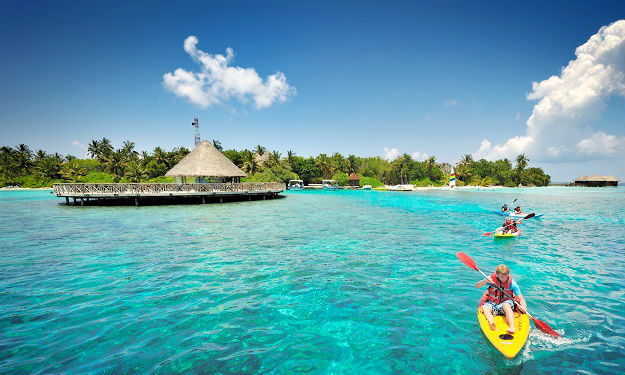 Go out on snorkeling expeditions and explore the wonders of this marine playground. Catch the waves with wake boarding and knee boarding or take a more relaxed approach with a casual canoe trip whilst admiring the mystical gems of the Indian Ocean. 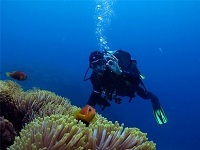 Excursion trips are great highlights, with something for everyone, nature-lover, culture-seeker or sports enthusiast. 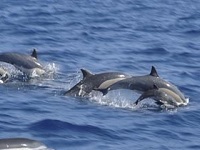 Choose the Dolphin Cruise,,Sunset Fishing, Island Hopping, Sunrise Picnic, Big Game Fishing,or Reef Snorkeling. Hours of operation for day excursions usually fall between 6am and 10pm and are subject to weather conditions. 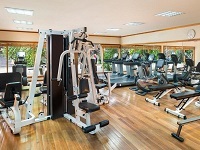 Fitness and travel go hand in hand. And to help you perform at your best and gain the energy you need while on the road, we partnered with Core Performance. 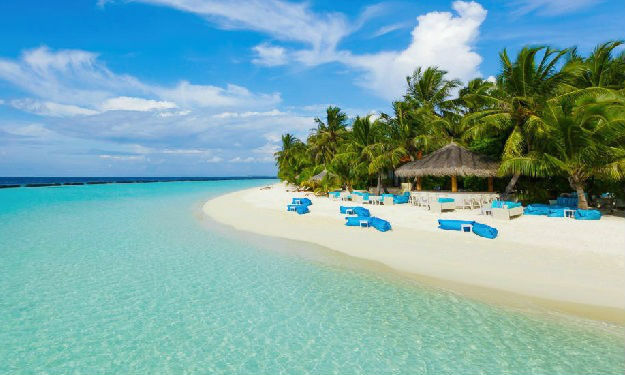 From exercising, to eating, to simply relaxing, you will find Core Performance ideas, tips and a whole lot more when and where you need it most at our Maldives luxury hotel. Join the team state-of-the-art fitness centre is where workout buffs, weekend warriors, recreational athletes and those looking for some active action get a move on. Whether you’re looking to put in your personal best or prefer finding strength in numbers, professional equipment, qualified gym instructors and inspiring group classes, all you need to be is a good sport. Stick to your training routine or let us customize something new for you. 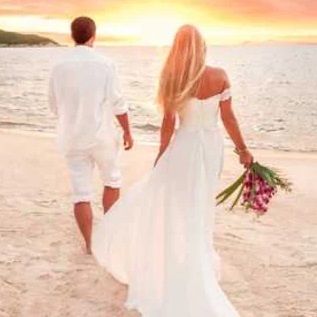 Make it a wedding affair to remember when you exchange vows and tie the knot in paradise. 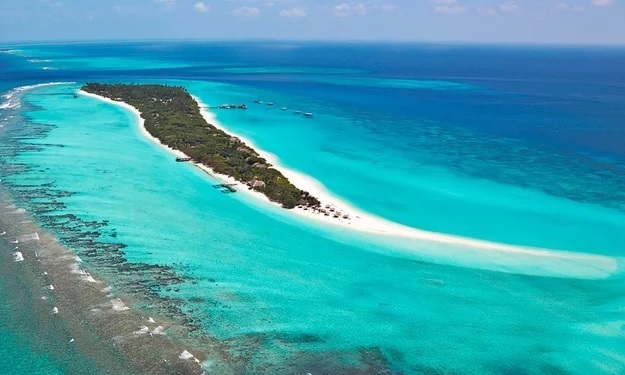 As the Indian Ocean unfurls into the horizon, white sandy beaches set against the turquoise lagoon provide the perfect backdrop for your big day magical memories to last forever. Plan your wedding in the Maldives and share these once-in-a-lifetime moments with just that most special person or with your closest friends and family – the resorts expert planners will help you customize your celebration. 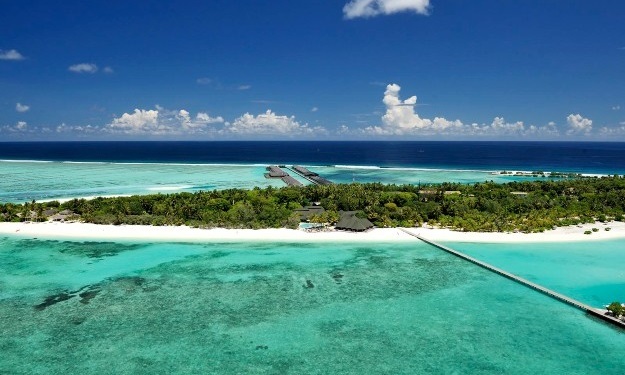 Is your dream wedding an intimate exchanging of vows followed by you and you time with a Couples Treatment at Shine Spa and relaxing in a supremely secluded Water Bungalow? 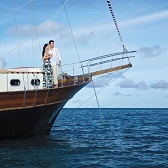 Or do you dream of a Maldivian Bodu Beru band playing local traditional drums during the ceremony, followed by a sunset cruise with champagne and canapés? All you need is love. 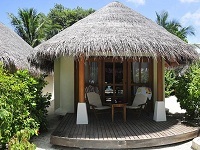 The Kakuni Hut serves your favorite drinks, delivered right to you as you relax on the beach with friends and family. Unwind with great cocktails and snacks and a panoramic view of the ocean. 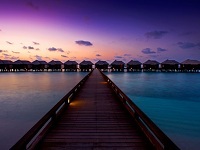 Take in the gorgeous sunset or relax under the stars amid the scenic beauty of Maldives while cool, ambient background music completes the experience. In the classic setting of an English pub with contemporary furnishings, Drifters serves not only drinks but also entertainment and fun. Experience the delights of Thai food with all its variety, taste, and tradition in this contemporary, air-conditioned restaurant. Thai chefs will blend their culinary skills with tasteful innovations to dish out a memorable feast for you. 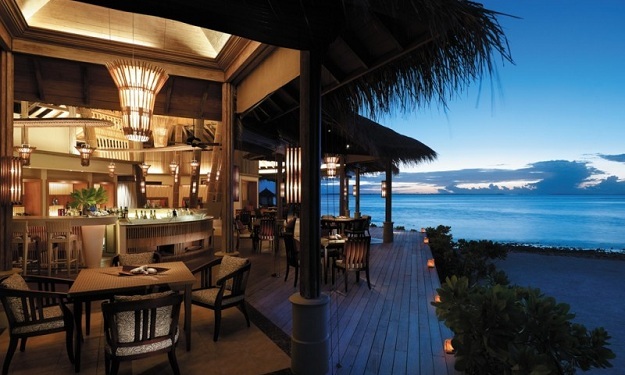 Adjacent to the lagoon, this unique restaurant allows you to enjoy the intimate atmosphere of casual, outdoor dining next to the beach. Enjoy live cooking stations as the chefs customize your meal just the way you like it. Feast, the buffet restaurant, offers a relaxed atmosphere with resort-style décor and a menu offering variety of cuisines. Daily themes keep things interesting at breakfast and dinner, and various beverages are available. Sand Coast offers informal, al fresco dining on a deck beside the lagoon or in the coolness of the thatched roof pavilion. Choose from an à la carte menu offering a wide range of dishes influenced by regional cuisine.